and sustain injuries from the process. There, the Monastery came to be, and the Ivory Pilgrims is now formed. Here, he hopes to bring in all those that share His faith, a home to belong to truly! And if you are one. . . The Monastery, once again, is located in the border of Lispool, and north west of it. While quite the distance, occasionally, there will be patrols over the area. So just almost anywhere in Lordwain, Monastery itself is reasonably a safe place. Mercala Is our Goddess. Do not soil Her Name, or abuse Her Name for Thy Gain. We are no Sun's Ichor. We are Civilized Devotee of her Grace, and we shall follow accordingly. Please bear in mind as you follow the Sacred Divine Light. Else, the White Lady will not be pleased with your Effort to sully the Reputation. Asking for Donations is a Sign of Weakness. Do evade any attempts of begging, or trying to take from one's act of Goodwill. The Ivory Pilgrims are Men, and Women of Efforts. Put your back into the activities, and thy will be Rewarded as proper by those that think you Truly Deserved the Reward. Mercala Testaments is to be Followed. Do not abuse your Blessed Gift so carelessly, else it will lead to careless Strife. The Art of Healing is sacred, and must be in check. Reserves the Healing for even the most Dire situation. If the Wounded is on the Death's Door, or even approaching the dark door. Then Healing shall be Granted, to save the Life for that is Mercala's Will. Though there are several exceptions to the Testaments. It is recommended to speak with the Preacher on it. We are not to be affiliated with the Mercalan Hearts. They are Exclusively Women, and nearly their own Order. We allows both Men, and Women in our own doors. If you are a female, and seek to join an Order. Then I would encourage that You encounters the Member of the Hearts. But do not Contact us for the business that requires the Hearts. Common Sense is Advised, for this is the home to you, if you seek to live in this Hold. Respect others, and never hold to a grudge toward other unless it must be Solved. Then requires the other Priest, or Priestess as Meditator to act as a Third Party to dissolve this Grudge. 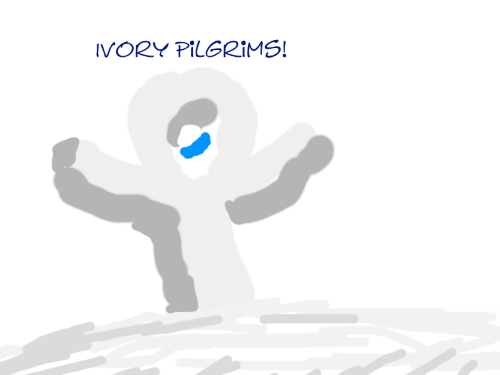 Ivory Pilgrims is a guild that was founded around the late september, 2017. It was founded for the wikipedia page, http://sl2.wikia.com/wiki/Guild , to help assist anyone who needed to know how Guild functions. Though originally, the Guild was just to be a wikipedia guild for that very page. It evolved into something else entirely. Hearts. It originally was intended to be done as for Men. But some people advised, and so the Pilgrims never became male-exclusive in the end. Here, the Monastery is expanding home where priest/priestess can go to get their own intake of religious-focused roleplay! If you decided that Ivory Pilgrims is a guild just for you. Awesome, Great! That's nice to know. We'll now continue. Over the age of sixteen. Do not attempt, and lie your age! We could find out! Proves worth of Priest/ess to the Mercala's Grace. If you deemed that you passed all these requirements. Then prove it by confronting, and speaking to the Recruiter. He'll deem if you are qualifying to join the Ivory Pilgrims. Into the Ivory Pilgrims' Hold. However, if the holding is too full. Then you may not be able to reside in Monastery until expansions. [*] Your character is looking for Faith to believe in, or needs someone to convince him that Mercala is a Goddess that he thinks he deserves to worship her. [*] Your character may needs an Aid of Pilgrim in one of the journey you're going to embark. Into black doors, or somewhere tedious. It is advised that Pilgrims will not go with you to Law's End, or anywhere outside of Oniga. Last edited by Skullcatrons on Fri Feb 23, 2018 5:47 am, edited 7 times in total. OOC NOTE: If one of Pilgrim goes inactive after prolonged period. He'll/She'll lose their room, and the rooms counter will increase again, allowing us to bring in more Guildmembers. However, if they do return. They'll have to wait until there is more available rooms. The Monastery have the Shopkeeper located out front! If you want. 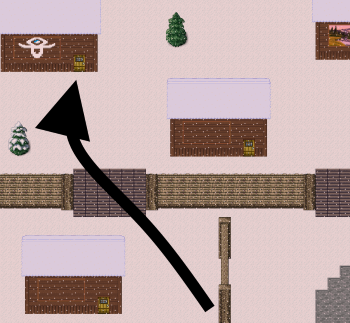 You can find something in the Shopkeeper. All prices are relatively cheap, ranging from thousand to three thousands murai at best!